A good friend, Joe Ternasky sent me the link to this Economist article. This article should work well to get the attention of CxOs. AS ONE industry falls, another rises. The banks of the Columbia River in Oregon used to be lined with aluminium smelters. Now they are starting to house what might, for want of a better phrase, be called data smelters. The largest has been installed by Google in a city called The Dalles. Microsoft and Yahoo! are not far behind. Google's plant consumes as much power as a town of 200,000 people. And that is why it is there in the first place. The cheap hydroelectricity provided by the Columbia River, which once split apart aluminium oxide in order to supply the world with soft-drinks cans and milk-bottle tops, is now being used to shuffle and store masses of information. Computing is an energy-intensive industry. And the world's biggest internet companies are huge energy consumers—so big that they are contemplating some serious re-engineering in order to curb their demand. The traditional way of building data centres such as Google's is to link clusters of off-the-shelf server computers together in racks. Hundreds, even thousands, of such servers can be combined to achieve the sort of arithmetical horsepower more usually associated with a supercomputer. But the servers all require energy, of course, and so do the electronic links that enable them to work together. On top of that, once the energy has been used it emerges as heat. The advanced cooling systems required to get rid of this heat demand the consumption of more power still. All of which is expensive. Though the price of computer hardware continues to plunge, the price of energy has been increasing. The result is that the lifetime cost of running a server now greatly outstrips the cost of buying it. 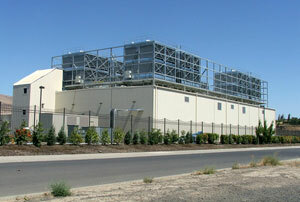 A number of researchers are therefore looking for ways to operate big computer centres like the one at The Dalles more efficiently. The article continues and discusses energy efficient designs by Lawrence Berkeley National Labs, and IBM. But, one of the main things this article draws attention to is the point,it is time to make these data centres more energy efficient (greener). Do you hear the sound of gov't regulation coming? And, the programs are going to be based on the amount of power you consume, not necessarily the price of your power. So, even though companies have done like Google, Microsoft, and Yahoo move to cheap power, and economically they have side-stepped the issue of power costs, gov'ts could still require energy savings programs be put in place. And once this starts you need a conformance system to validate your results, and now you are in EPA type of audit situation.